As we begin a new academic year, you are invited to join GW President Thomas LeBlanc for a community meeting. 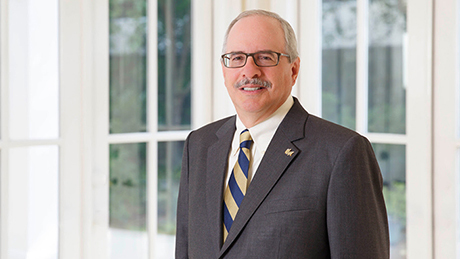 Dr. LeBlanc is eager to hear from as many students, faculty and staff as possible about your aspirations for the university, and he looks forward to learning from this series of discussions with the GW community. At all events, President LeBlanc will take questions from community members. In addition, Board of Trustees Chair Nelson Carbonell will make introductory remarks at the events on the Foggy Bottom and Mount Vernon Campuses and Trustee Madeleine Jacobs will make welcoming remarks at the meeting on the Virginia Science and Technology Campus. All students, faculty and staff are welcome and encouraged to RSVP. You may also submit questions in advance online.